People ask me why I continue to work so hard at this. The answer is easy - "I LOVE IT!" It is not about being the BIGGEST, just doing the VERY BEST for my Customers and their Animals. I address the WHOLE HORSE & DOG not just the apparent issue. It is not just the OUTSIDE but more importantly what is going on in the INSIDE. It gives me great satisfaction to be able to contribute to the health and well-being of so many horses, dogs and other animals. My experience and your feedback only strengthens my resolve in what I do and the Proven Products I sell. I give 110% of myself to my Customers, and demand the same of my Vendors, so that YOU and YOUR ANIMALS will receive only the BEST in QUALITY and SERVICE. Over 35+ years ago a new product called, "Rubber Mats" hit our industry and I knew I had to share it with my old friends and soon to be new ones. As you can see the product took off and I now provide thousands of mats throughout the country from Veterinary Hospitals to horse owners with one stall. The New England debut for Select the BEST opened my eyes to a variety of new products. The proven results of their products continue to bring customers in asking for more. Following their New England debut, Richdel's Select line of products became an instant White Haven Farm staple. 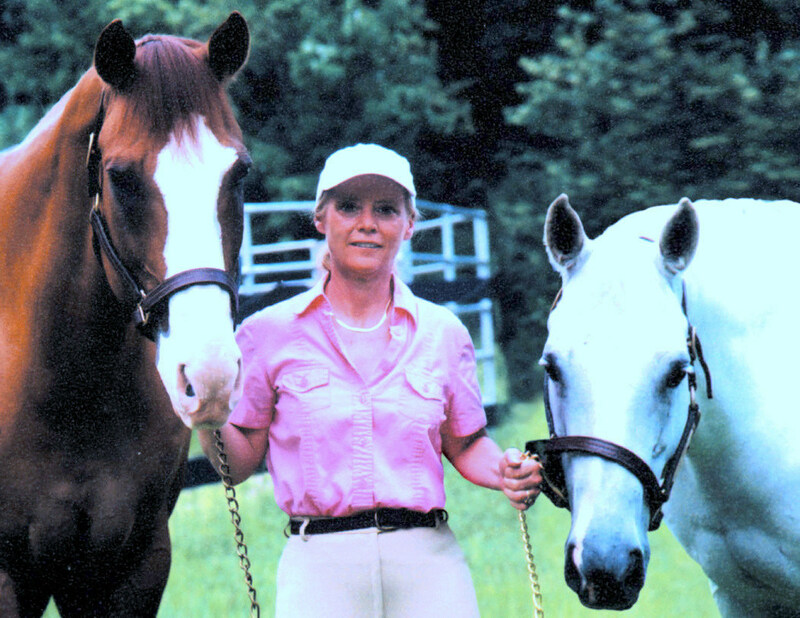 Their products have thoroughly and consistently met my rigorous demands and have kept me abreast of the ongoing innovations being made in the field of equine health. Since the beginning I've treated each product I sell as though the name White Haven Farm was printed on the label alongside the manufacturers, so when the opportunity presented itself it was only logical to take the next step and create my own line of products. Richdel was the obvious choice to manufacture the new White Haven Farm BEST CHOICE product line. As important as Richdel's proven track record is, their commitment to work with me to develop products that meet the unique needs of my customers is invaluable. My partnership with Richdel allows me total control over my products; not only does my name on the label assure the quality of the product inside, it guarantees that it has been specifically formulated to satisfy the specific needs of my customers. With Richdel behind my line, White Haven Farm has the ability to go beyond - the basics - and create the innovative products your horse and dog needs. The ultimate product that I hold close to my heart has brought a smile to my face is EVITEX. Sadly, Evitex was not yet discovered in time for my pony "Mac" who had Cushing's but through my experience I have continued my research into this disease. The results for my customer's horses and dogs with Cushing's disease have been astounding. It is without a doubt the closest product to my heart. Another quality product is Formula 4 Feet. Please be sure to read about this product that has brought relief to thousands of Cushing’s, Metabolic/IR, Laminitis/Foundered horses, as well as those with hoof issues. Life just keeps getting better, as we are importing Speedi-Beet and Fibre-Beet from the U.K. It has been a blessing for the Cushing’s, Metabolic/IR, Laminitis/Foundered horses. It has proved an excellent solution for re-hydration of competition horses and replacing the quality of fiber hay is lacking. Whether feeding it as a top dress, replacing forage and/or adding it to the existing diet Speedi-Beet and Fibre-Beet has been a much needed and welcome addition to our Proven Products. Horses that need to gain or lose weight, those with allergies, COPD, digestion issues all have found relief with these two great products. Now Speedi-Beet & Fibre-Beet have also been incorporated into delicious and nutritious HEALTHY Mashes available on our site. Speedi-Beet has also been incorporated into Treats. We are so pleased to be representing Buckeye Nutrition. The result of this outstanding feed has already been seen on horses in our barn as well as many others. Aside from feeding horses "without issues" I can again help Cushing's horses with a feed that improves the quality of their life and addresses their specific nutritional needs. We are also working with Laminitis/Founder, Orphaned and/or Rejected Foals, HYPP, EPSM, COPD, and a variety of other problems. It TRULY is the "Common Sense approach to Equine Nutrition." Finally, we are currently researching and conducting trials on a number of products. Our web site is constantly expanding as we are working hard to offer you the very best. We have expanded from our basic products to give you an "added edge". Items such as article reprints and reports from studies are constantly being added to keep you abreast of the constant changes. I look forward to being on the cutting edge and to offer you and your animals the very best I can. Thank you for your continued trust and support over the years. Our logo was designed by someone who knew me and my business, simply put... "From the Heart"